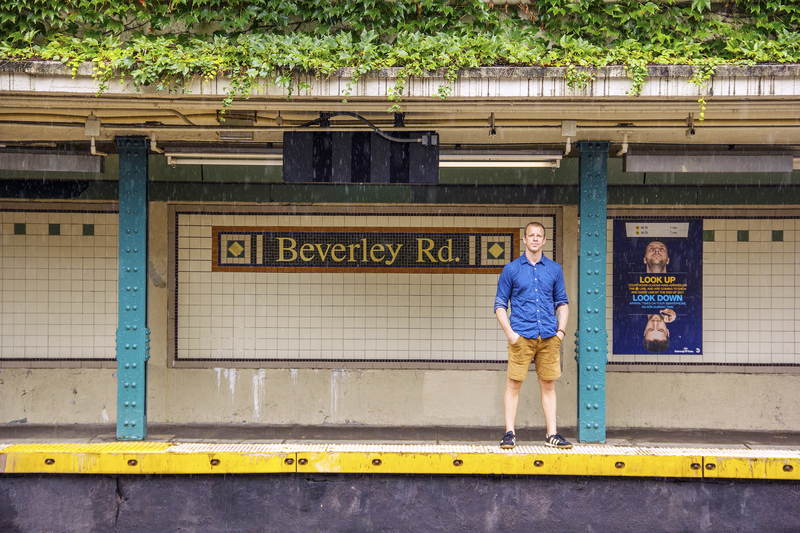 The embattled MTA‘s best feature may be these four simple words. The Poetry Society of America launched its Poetry in Motion program in 1992, six years before I moved to New York City. 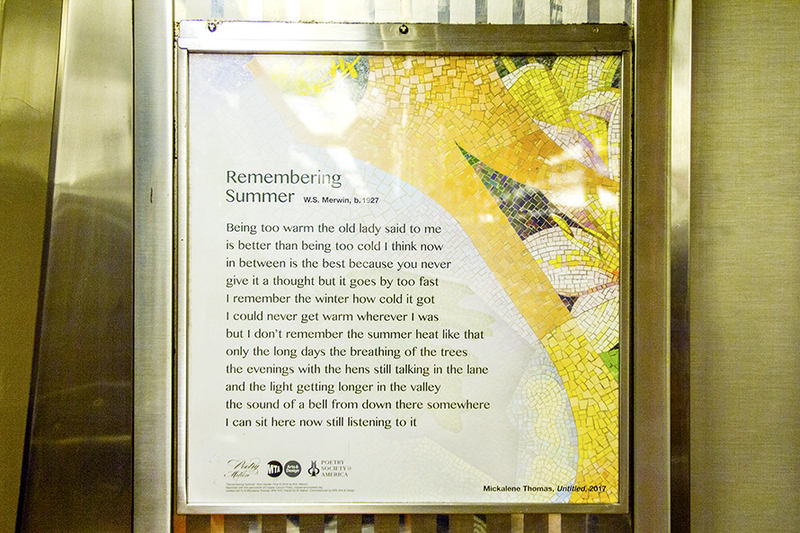 The program, a collaboration with the Metropolitan Transit Authority, places stanzas and verses of poetry in the subway car display cases that normally contain advertisements for the likes of Dr. Zizmor. If you ever look up during your commute and see the words of Kay Ryan or Charles Simic, it’s by the grace—or the muses?—of Poetry in Motion. “Do not hold doors” is a one-vowel show. O is the Hal Holbrook, the Spalding Gray, or, more accurately, the Sarah Jones of vowels, capable of squeezing itself out of the mouth in myriad pleasing ways. For me, the main attraction is how versatile and accommodating the vowel o is. “Do not hold doors” is a one-vowel show. O is the Hal Holbrook, the Spalding Gray, or, more accurately, the Sarah Jones of vowels, capable of squeezing itself out of the mouth in myriad pleasing ways. “Do not hold doors.” Ooh. Ahh. Oh. Errr. Before wifi in the subway, before phones got smart, I used to rest in contemplation of the mighty o, marveling at how very possessed it is of inherent wholeness, free to evolve. That versatile vowel was an inspiration; that short phrase a prayer. Within this context, “Do not hold doors”—more so than its awkward cousin, “Do not lean on doors”—is an admonition to think collectively and act communally. One does not lean on doors so that one doesn’t fall onto the tracks. One does not hold doors so that the trains run on time. Like the artisans who built Europe’s greatest cathedrals, the bard of those four words has been lost to the fog of time. Like the artisans who built Europe’s greatest cathedrals, the bard of those four words has been lost to the fog of time. Yet I can’t help but repeat the phrase aloud every time I see it. Maybe he or she never existed and therefore never knew the lasting pleasure the phrase inspires. But the lesson it imparts, the one I carry with me above ground as below, in transit and at rest, is this: Beauty can be found anywhere, purposefully or incidentally. That is something that, despite the sign’s admonition, I will do my best to hold onto. Joshua David Stein (joshuadavidstein.com) is an author, journalist, and musician. He is currently the editor at large at Fatherly and host of The Fatherly Podcast. He is also the author of the children’s books Can I Eat That?, What’s Cooking?, and Brick: Who Found Herself in Architecture, and the coauthor of Where Chefs Eat and the upcoming memoir Notes From a Young Black Chef with Kwame Onwuachi. He performs children’s books set to music with his band, the Band Books, and lives in Kensington, Brooklyn, with his family.